Bullying is something that never stops. It’s a horrendous unprecedented act that continues throughout adulthood. Whilst we like to believe that it is contained to our youth – and certainly that’s where it sprouts up and is felt the most – almost all of us have been privee to bullying being a “grown-up.” This could be gossip, occasions of violence and manipulation, or plain isolation of the “oddball” or weirdo. We never really grow up of pushing people to breaking point and that is a terrible process we need to combat. Debroah Haywood’s spectacular dream-like Pin Cushion looks at two ages of bullying from the perspective of a mother and daughter pairing. 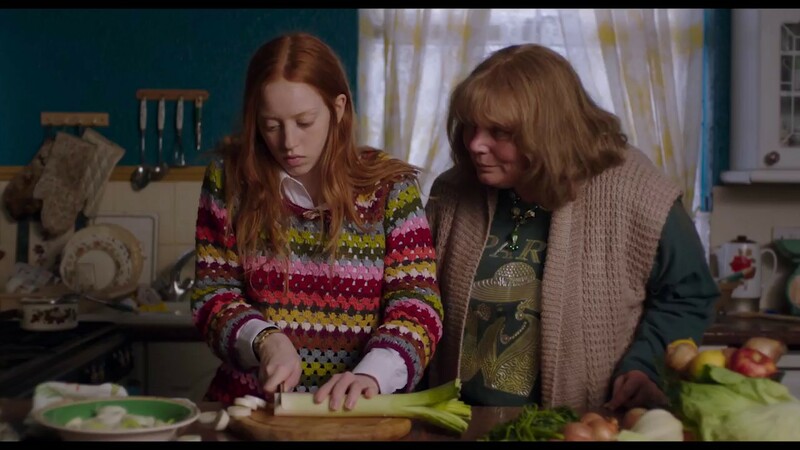 Starring Lily Newmark and Joanna Scanlan, the film revolves around Iona and her mother Lyn who move to a small town. Dressing differently and having spent to their time away from society, the pair struggle to fit into the society around them. When Iona is taking under the wing of a couple of the popular girls, she finds herself vulnerable to their vindictive nature, learning that their friendship may be a ruse to taunt her more. Lyn is similarly distressed as she finds herself alone, unwanted from the community around her. As the pair lie to one another, their true stories begin to unravel and is set to collide in a brutal manner. Hayworth’s debut feature is a smarting depiction of seclusion and the impact of tyranny. Her stylish dreamscape as Iona imagines fantastical sequences in which she is rescued from her plight are feverish, beautiful, and all too real for someone of Iona’s age. Soft tones of idyllic scenes craft a harsher reality as Iona is desperate to fit in and be wanted. Hayworth handles her spiral with intricacy and, most importantly, care. Through the beautiful to the grit, Pin Cushion is a captivating watch. Yet it is the acting that’s truly enthralling. Newmark and Scanlan make a completely watchable pair that burn with realism. Scanlan has these massive features that in moments of wordlessness convey her anguish and pain. As Lyn, she barely treads water getting by – always one or two steps behind the common beat. That makes her a target for unwarranted ridicule. Even from those who pretend to be nice, you can see how they are pushing Lyn out, with tactic usually depicted in school halls. Scanlan is terribly brilliant in translating this pitying soul who just wanted to be accepted and no longer alone as her daughter leaves the nest. Newmark’s captivating essence translate her own hurt. She is an impressive and striking performer who has an ability to showcase the turbulence of adolescence, especially vying for attention from those who torment you. Newmark can be broken yet childlike, strong yet delicate, and absolutely searing in her performance. The pair are completely believable as this mother/daughter alliance that frays from the pressure. The ending is seemingly cruel yet has glimmers of hope, the same diamond shines that glitter throughout. There is a beguilling spirituality at present here too and though it does offer some of the more bemusing moments, it all ties together. Whilst there are hard pills to swallow, and scenes that will make an impact long after viewing, there are also moments of attention and care. Comments have been made about how bleak the film is and yet it offers these moments of light that stream through the dark. Within the dreamscapes, and within the pain is, ultimately, love. 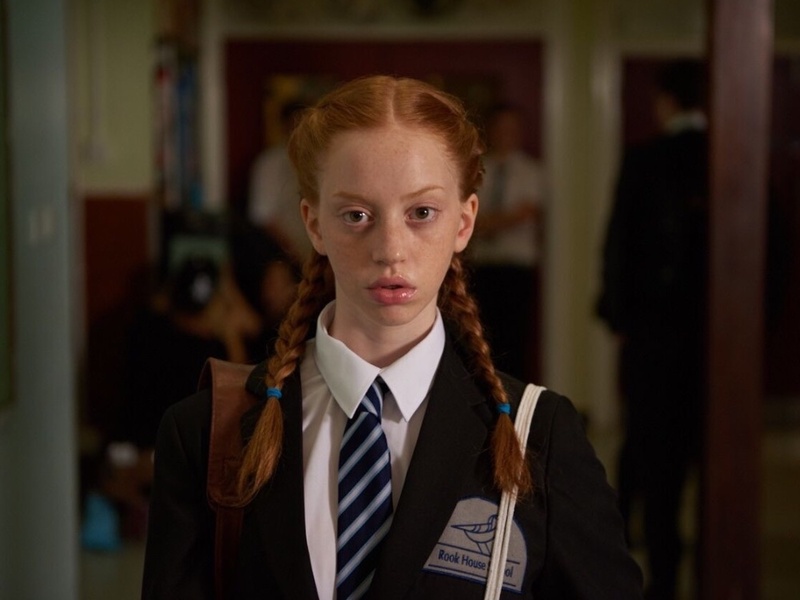 Pin Cushion is out in cinemas now!